Print Home / Getting Started with JotForm / How to Delete My Account? NOTE: Deleting your account will delete all the forms and the form submissions owned by your account. 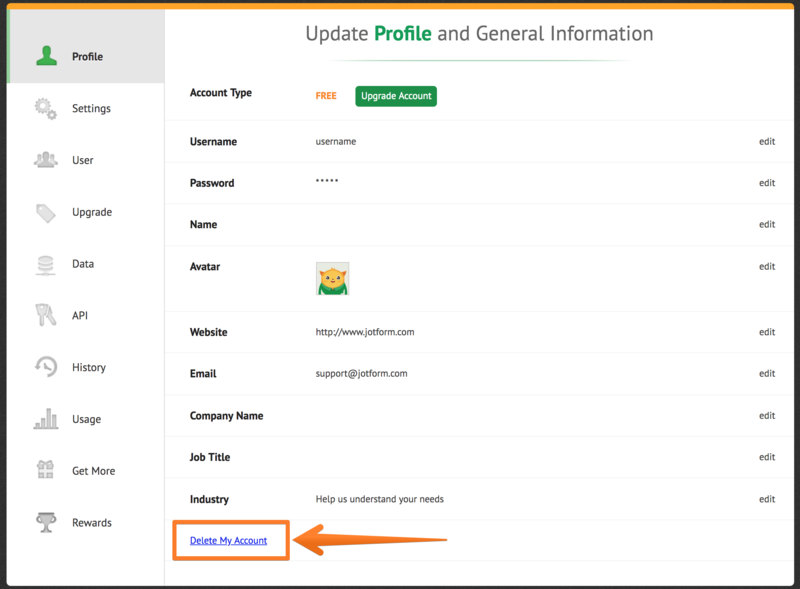 To delete your JotForm account, follow the steps below. 1. Go to the Profile section of your account. 2. Scroll down and click the Delete My Account button. 3. 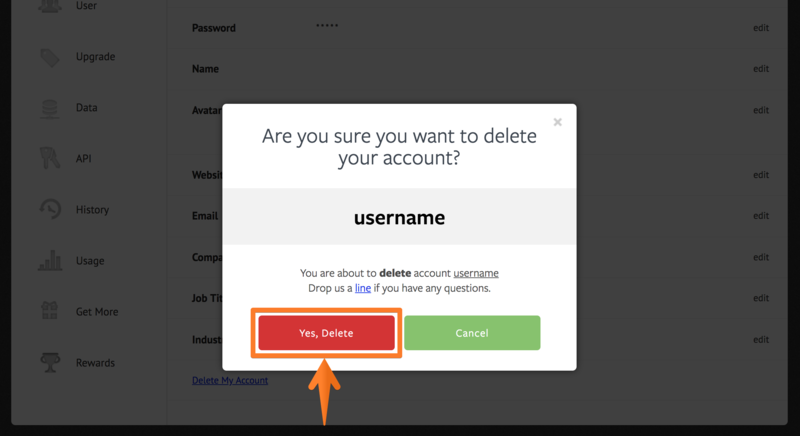 Confirm the deletion of your account by clicking Yes, Delete in the pop-up dialog. I deleted my account last month, I just got charged again. Please contact me and help me to reverse this charge.